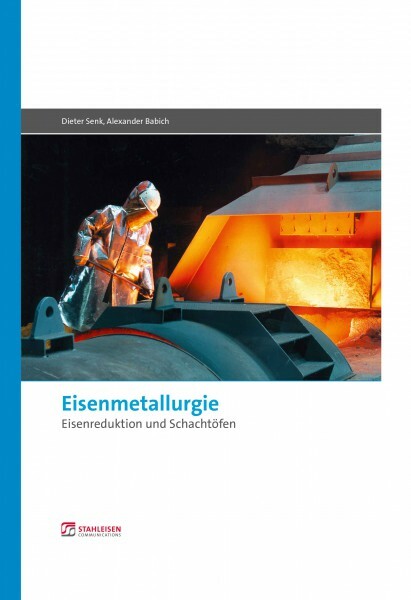 In the area reduction and the shaft furnace processes in the steel and foundry industry ( IEHK ) of the RWTH Aachen University , numerous studies , national and international research objects as well as diploma and doctoral theses were carried out at the Institute of Ferrous Metallurgy . The priorities were devoted to the following topic. - Environmental protection and reduction of harmful emissions. - Exhaust gas measurements by infrared spectroscopy (FTIR : Fourier Transformed Infra -Red Spectroscopy. - Use of Termovisionskameras for inline measurement of temperature distributions . In the last decade, mathematical modeling of details gained increasing importance. - Behavior of self -reducing pellets , briquettes , such as composites for direct reduction and blast furnace. In addition , it is reported here about the currently laifenden theses on topics blowing recirculated top gas and organic residues as well as direct reduced iron in the blast furnace , increasing the efficiency of Corex/Finex- procedures and investigations into the mini blast furnace shortly . The research in the above-mentioned Areas was coined in the last decade by the challenge of environmental problems and become more and more expensive resources. Of the whole year years society and politics are more intensively engaged with these problems. The steel industry uses development potential of today's technologies and developed and researched at the same time new technologies, methods and instruments that are in addition to high product quality with good price also ensure higher efficiency and lower environmental impact than today . This relates primarily to the production of iron , as in an integrated steel mill by far the largest share of energy consumption and CO2 emissions lies with the blast furnace with auxiliary units , such as sinter plant and Kokserei . This is also the main motivation of the IEHK at RWTH Aachen University for further research in this area .